One positive note of the research found that 55% of cloud users experienced a competitive advantage from using cloud services and a further 23% anticipate the same result. It worries me greatly these results. The cloud is no longer an infant technology packed full of teething problems chewing on anything it can wrap its pudgy little hands on. It is a highly developed and mature platform, having graduated from University some years ago and currently making its parents proud taking a Masters. The possibilities of cloud are enormous, and one of those at front and centre is the simplicity of it all. So to hear that such a large proportion of cloud adopters are finding it to be a complex, time consuming and fraught exercise leaves me a bit perplexed. Successfully migrating telecoms to the cloud is all about understanding the customer, their needs and objectives, and mapping that process out. Once you get to that point where there is a clear route and path and you deliver against those measurables it becomes simple. Migration doesn’t have to happen all in one lump, it is measured and managed in chunks, preventing these issues and errors from occurring and staying on top of them if they do. We work with many customers conducting exactly this process every day and our customer satisfaction scores routinely reach over 97%. Where is this 87% of customers struggling with their cloud implementation? 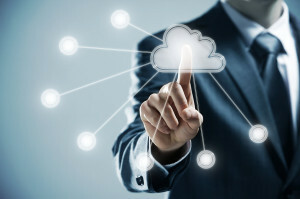 Have you migrated to the cloud or thinking about doing it? We would like to hear from you about your experiences, are you in the 87% or the 13%? To find out more about Britannic’s Cloud Services then head to our website now.